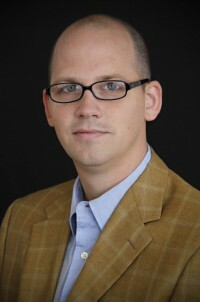 Timothy Miller joined Lee University’s Department of Theology as an assistant professor of philosophy in the fall of 2008. Prior to that he was a visiting assistant professor of philosophy at Oklahoma Baptist University. He completed his PhD at the University of Oklahoma in 2007, specializing in metaphysics, philosophy of religion, and early modern philosophy. His dissertation focused on the traditional doctrine of continuous creation and the problems it raises concerning the nature of causation and persistence; it was awarded the University of Oklahoma’s 2007 dissertation prize for the Fine Arts and Humanities. More recently, he has been doing research in ethical theory on contemporary formulations of rule-consequentialism. Miller, along with Linda Zagzebski co-edited Readings in Philosphy of Religion: Ancient to Contemporary (Wiley-Blackwell, 2009). His other publications include: “Desgabets on Cartesian Minds” (British Journal for the History of Philosophy, 2008); “On the Distinction between Creation and Conservation: A Partial Defence of Continuous Creation” (Religious Studies, 2009); “Continuous Creation and Secondary Causation: The Threat of Occasionalism (Religious Studies, 2011); and “Solving Rule Consequentialism’s Acceptance Rate Problem” (Utilitas, forthcoming). Tim and his wife, Beth, have two boys, Bao and Shaw. In his spare time, he enjoys riding motorcycle, cooking, and playing tennis and soccer.